Corny jokes aside, this is a big deal; just ask Charlie Russell. 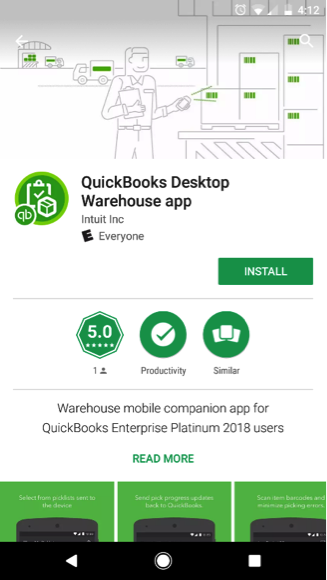 One of QuickBooks Desktop Enterprise’s most requested features by our manufacturing and wholesale customers was mobile barcode scanning functionality. Ditch the data entry from paper picklists. Wirelessly send picklists to workers on the floor. 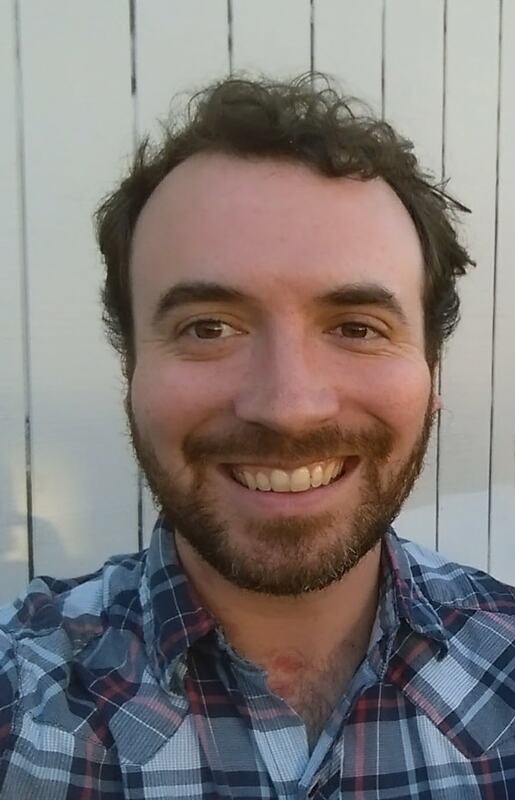 Send a picklist to workers down the street or in another city. Receive real time updates from pickers, along with notes. While the QuickBooks Enterprise Advanced Inventory module already supporting barcode scanning, your clients either needed the scanner to be attached to a laptop or have a short-range Bluetooth scanner. Either way, the laptop had to be close by to whatever users were doing on the warehouse floor. Enterprise 18.0 is our first attempt to untether the warehouse worker from the laptop, reduce paper picklists and help pick inventory wirelessly. This means your clients will now have more reason than ever to keep accurate track of their inventory. Going forward, the biggest challenge may be in training your clients in adopting a new sales order process. Clients will also need guidance in figuring out how to make this work specifically for their business. How does this work? There are two main components: the Scanner and the Sales Order Worksheet. QuickBooks Enterprise now has a companion app to help with sales order fulfillment. The app works on Android KitKat 4.4 and higher. Currently, the barcode scanner only works with the MC40. If your clients want to try the picking workflow before buying a scanner, they can download the companion app to their Android smartphone free from the Google Play store. For more information on purchasing the MC40 and downloading the app, check out this page. Intuit® doesn’t sell the scanner directly, but we have suggested several websites where you and your clients can purchase the scanner from in low quantities. The updated Sales Order Worksheet is the new nerve center of the picking process. In it, you can see an open sales order, see which warehouse can best fulfill the order, assign picklists to workers and get feedback in real time. 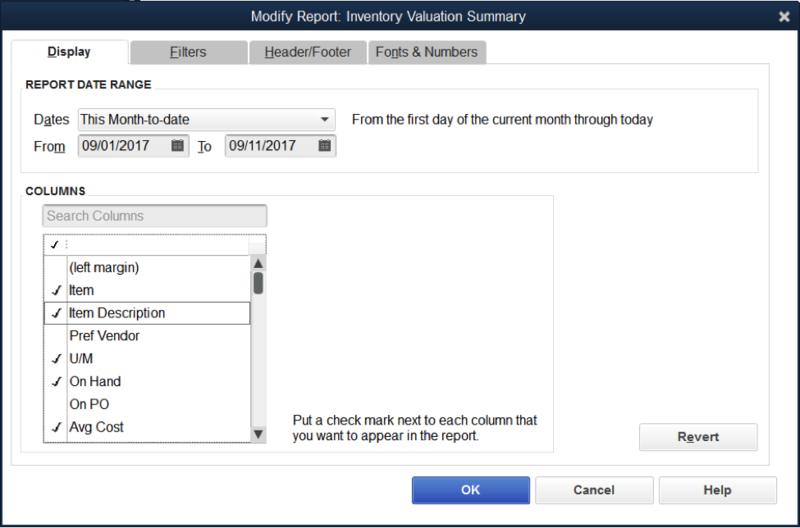 To jazz up the inventory experience, your clients can now add more columns on specific inventory reports. How many columns? All of them! Specifically, clients can add any column that would be relevant for the Inventory Valuation Summary, Inventory Stock Status by Item report and the Assembly Shortage report. We hope you enjoy this new feature! Check out the QuickBooks Enterprise Resource Center for articles, videos and more, and pass this link to your clients. 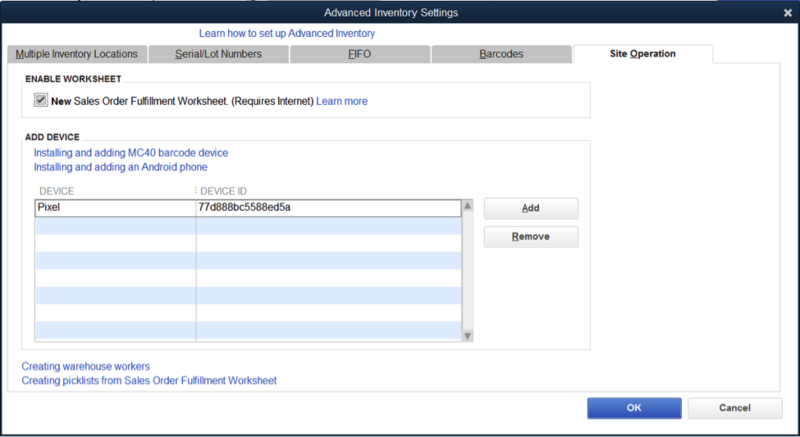 1Note, new Sales Order Fulfillment Worksheet and Barcode Scanner support are available as part of the Advanced Inventory module, which is available on the QuickBooks Desktop Enterprise Platinum subscription.